Ireland’s peat bogs are under threat… and gardeners are being urged to do their part to conserve them by finding alternatives to peat compost. Celebrity gardeners are calling for pete-based compost to be phased out completely and replaced with more environmentally responsible choices. Irish peat bogs are a unique wildlife habitat that support a staggering array of biodiversity, including many specialised species that only occur in this dwindling habitat. 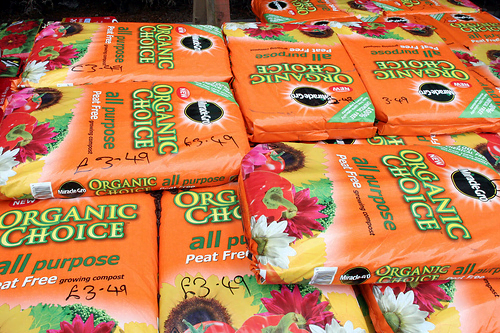 Some 42% of compost used in Irish gardens is currently derived from peat. Well known gardener Helen Dillon, whose Dublin garden is famous worldwide, believes peat is no longer necessary. "For me it’s like selling one’s water or one’s air. I’m completely anti using peat,” said internationally renowned Dublin gardener Helen Dillon. “I don’t think the country should be digging it up and flogging it, but from a garden point of view, they haven’t found something so easy to use that the plants like as much," she said. But it’s far from a local problem. Most of the peat compost used in English gardens comes from Irish bogs too, fuelling an industry worth an estimating €25 million annually. Diarmuid Gavin, the well known Irish garden designer and television personality has cut out peat compost, and believes there are plenty of suitable alternatives available. "I definitely stick to an opinion that I have always had, and that is never use peat. It’s the biggest ‘no-no’ for me," said Gavin, who advocates the use of peat-free products in the garden as a simple and effective way for people to make a positive environmental impact. "Peat lands are disappearing at a tremendous rate and it is unacceptable that we are destroying such ancient wildlife habitats in order to satisfy a so called eco-friendly hobby called ‘gardening’,” said Mary Reynolds, the only Irish gardener to win a gold at the Chelsea Flower Show in 2002. “Work with the soil you have rather than working against nature. We don’t need to keep destroying our wildlife habitats, there are lots of peat-free alternatives and the quality has improved in recent years. We need to change," she said.